Larry Williams reveals his Hate Will Never Win t-shirt to open the CARMA webcast. The Consortium for the Advancement of Research Methods and Analysis (CARMA) webcast lecture series continued in the 2018 spring semester on February 23. There were two talks featuring Dr. Donald Bergh, Louis D. Beaumont Chair and professor of management at the University of Denver, and Dr. Karen Locke, Pat and Margaret Walsh Professor in Leadership and Ethics at the College of William and Mary, who shared their expertise to the more than 125 member institutions of CARMA. Prior to his introduction of the first speaker for the day, Dr. Larry Williams, director of CARMA and professor of management at the University of Nebraska–Lincoln, took a brief moment to show off his newest T-shirt, featuring the slogan, “Hate Will Never Win.” The shirt, worn most prominently by the Nebraska men’s basketball team since mid-February, speaks to recent events on campus and around the country. Bergh, Williams and Locke selfie it up at the CARMA webcast. Bergh began the day with his talk, “The Reproducibility of Empirical Management Research: Tests, Applications and Recommendations.” Reproducibility is defined as obtaining the same results when reanalyzing the same data. It can be used to confirm the findings reported in a focal study and serve as a preliminary step in the replication process. Bergh explained why reproducibility has become an important part of the research process. He went on to describe how to test it and identify when those results are robust. He also shared how to report on findings from applying those tests to published work, relate their relevance to replication and wrapped up by offering his recommendations for the publication process. In the second lecture, Locke presented, “Coding for Discovery in Qualitative Analysis.” During her presentation, Locke discussed an ongoing stream of work focused on bringing forward discovery in qualitative research practice and in its representation in methodological accounts. Specifically, she explored how researchers enact the analytic practice of coding in relation to theorizing by analyzing researcher descriptions of coding in methods sections of empirical articles published in five highly regarded journals from 2013 to 2015. Locke concluded by describing three identified patterns that represent differing relations between coding and theorized and discussed their implications for discovery in theorizing. The live lecture, along with the entire webcast series is available online. 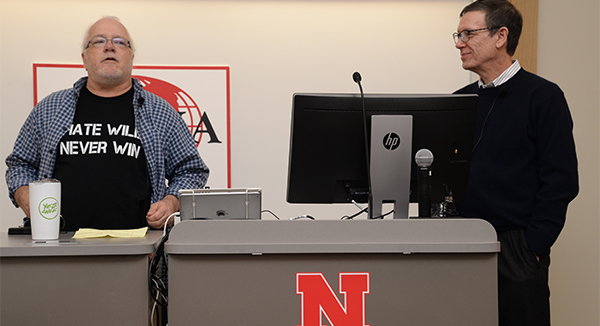 Becoming a CARMA website user and affiliation with the University of Nebraska–Lincoln provides access to the series. To sign up, visit: https://carma.azurewebsites.net/account/register. Members gain free access to more than 125 past webcasts on topics such as structural equation modeling, social network analysis, item response theory and many other research methods.